In 1691, the Jesuit Filipo Bonanni examined insects using a horizontal microscope and made drawings of his objects. 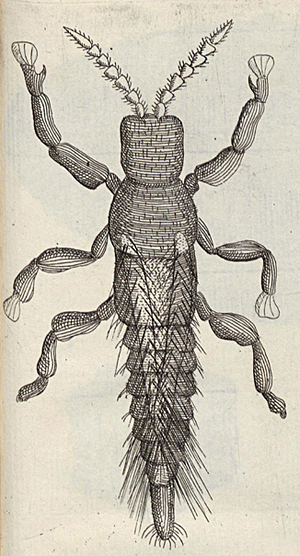 One of the figures in his work »Micrographia curiosa, siue rerum minutarissimarum observationibus, quae ope microscopij recognitae ad viuum exprimuntur« (observations of the smallest things recognized with the microscope) is nowadays rated as the first illustration of a thrips. The details of Bonanni’s drawings even indicate, that he had examined a specimen of the genus Haplothrips. The description of his findings published in the chapter »Musca« (flies) refer to the unusual form of the insect’s extremities: »Quatuor priorum pedum extremitates, ita efformatae erant, ut crumenas simularent è membranula lucidissima compactas« (The tips of the four anterior legs resemble to membranous, translucent bags). 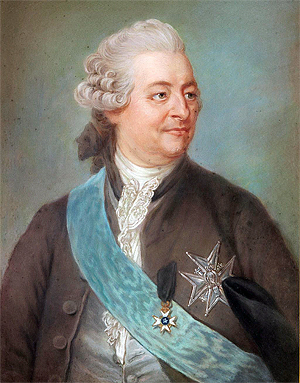 In 1744, Charles de Geer published the »Description of a new gender of insects called bladder-foot (Physapus)« in the Memoirs of the Royal Swedish Academy of Sciences; German original title: »Beschreibung eines neuen Geschlechtes von Insekten Blasenfuß (Physapus) genannt«. His article includes figures of two different species showing precisely the long fringes on the insect’s wing borders. De Geer, however, did not emphasise these structures as an essential feature but referred – following Bonanni – most notably to the feet: »Die Füße sind sechs an der Zahl, die beyden vordersten am Vordertheile der Brust befestigt, die vier übrigen aber an ihrem Hintertheile. An den Füßen zeiget sich ein kleiner durchsichtiger Theil wie eine Blase« (There are six legs, the two front legs are attached at the anterior part of the thorax, the others, however, at the hind part. The tips of the feet show translucent structures looking like small bladders). 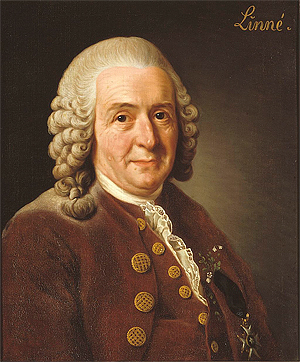 The genus name »Thrips« was established in the work »Systema naturae« (Tom I, Pars II and Pars IV, 1758 and 1790) by the Swedish natural scientists and father of modern taxonomy Carl von Linné, who formalised the system of naming organisms with the binomial nomenclature. Most likely the name »Thrips« refers to analogies concerning appearance and behaviour (thigmotaxis) with bark beetles of the genus Ips. Linné’s first descriptions include the still valid species Aeolothrips fasciatus, Thrips physapus, Thrips minutissimus and Thrips juniperinus. In 1836, the Irish entomologist Alexander H. Haliday described the Thysanoptera as a separate order of insects (»The name proposed is taken from the plume-like fringes of the wings«). Besides a general outline of the new order his publication »An epitome of the British genera in the order Thysanoptera« (Entomological Magazine 3: 439-451) includes descriptions of ten species. All genus names established by Haliday end on the syllable “-thrips”, a peculiarity that was adopted by later taxonomists and kept in almost all cases till today. Thus, the nomenclature within the Thysanoptera appears – unlike in other insect orders – clearly arranged and well-structured. A further important feature of Haliday is the classification into the suborders »Terebrantia« and »Tubulifera«. In 1895, Heinrich Uzel published the »Monografie řádu Thysanoptera« (Monograph of the order Thysanoptera). This 500 pages book did not only comprehensively summarize almost all previously published information on Thysanoptera, but described 11 new genera and 63 species, together with identification keys and illustrations. This remarkable, seminal work provided the basis for a subsequent explosion in information about thrips in the early 20th century. With a weight of 3kg and a format of 34 x 27 x 4.5cm the volume can be considered as quite formidable. Despite these dimensions, the British thysanopterists Richard S. Bagnall and Guy D. Morison used to carry this folio volume on their bicycles during field studies in the early 1900’s. [Fedor et al. 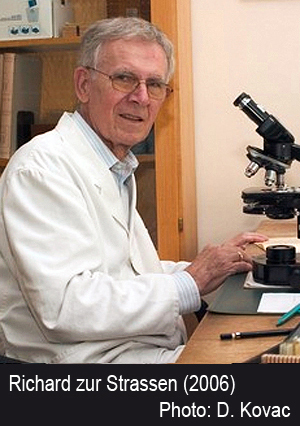 (2010): Heinrich Uzel, the father of Thysanoptera studies. Zootaxa 2645: 55–63]. The period between the end of the 19th and the beginning of the 20th century was characterized by a large number of mainly taxonomic works resulting in an enormous increase concerning the range of described species. Important thysanopterists during this time were Warren E. Hinds (1876-1936), Heinrich H. Karny (1886-1939), Dudley Moulton (1878-1951), Richard S. Bagnall (1889-1962) and J. Douglas Hood (1889-1968). 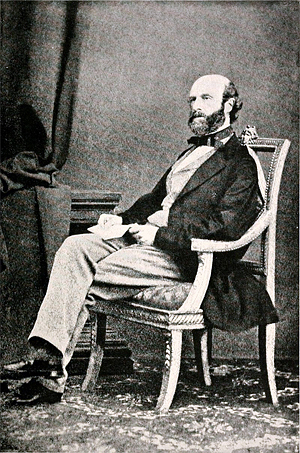 Bagnall alone described 570 species and 100 genera, Hood even 1038 species and 138 new genera. First works on fossil thrips also date from that period; they were published by Bagnall and Diederich H.R. von Schlechtendal (1834-1916). Collating the results of the vast number of single works published since Uzel’s monograph, Hermann Priesner issued a 750-paged book on the Thysanoptera of Europe in 1928 (German original title: »Die Thysanopteren Europas«). Combining aspects of systematic entomology with matters of thrips related plant diseases this work complied perfectly with the requirements of that time and the arising recognition of some thrips as important crop pests. All treated species are characterised with their host plants and distribution. Furthermore, Priesner’s descriptions are not focused on adults only but also include larval instars, even with identification keys. 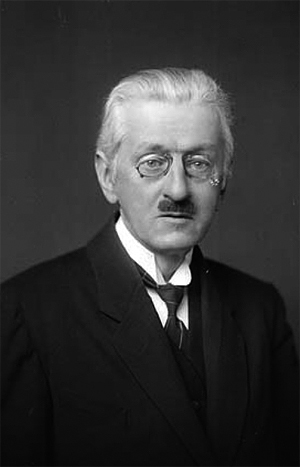 Due to that work, Priesner was considered as the most notable and most qualified thysanopterist of the first half of the 20th century. Concurrent with an intensification of agriculture in the middle of the 20th century, the relevance of the Thysanoptera as crop pests grew constantly. Thus, numerous entomologists dealt with that insect order. Worth mentioning are the works of Taracad N. Ananthakrishnan (*1925), Jitendra S. Bhatti (*1939), Alexandre Bournier (1913-1998), Jacobus C. Faure (1891-1973), J. Douglas Hood (1889-1968), Guy D. Morison (1898-1978), Laurence A. Mound (*1934), Kelly O’Neill (*1920), Shûji Okajima (*1950), Jenifer Palmer (*1942), Jaroslav Pelikán (*1926), Brian R. Pitkin (*1945), Kanio Sakimura (1903-1989) and Lewis J. Stannard (1918-1988). Many relevant results are published in Trevor Lewis’ (*1933) »Thrips – their biology, ecology and economic importance«. 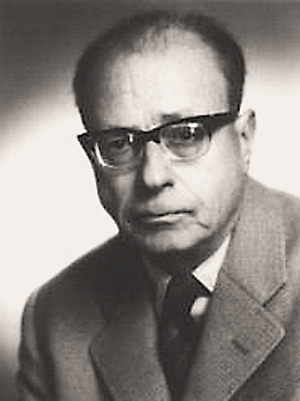 Charles F. Jacot-Guillarmod (1912-1979) arranged the vast number of species and genera and the related bibliography in the »Catalogue of the Thysanoptera of the World«, which was released in six volumes between 1970 and 1979. 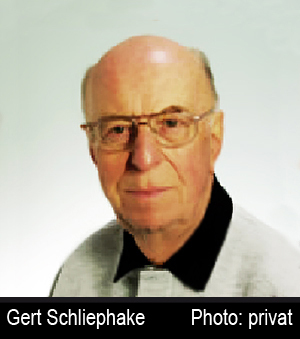 In 1979, Gert Schliephake was appointed associate professor of systematic zoology at the Halle-Köthen College of Education. Four years later and following to numerous single works, he published the volume on Thysanoptera in Dahl’s book series on the fauna of Germany (German original title: Thysanoptera, Fransenflügler; in Dahl (Ed. ): Die Tierwelt Deutschlands, vol. 66) in cooperation with Karlheinz Klimt (*1934). 246 thrips species were included in this reference identification guide. During his late research period Schliephake focused more and more on fossil thrips and published extensive identification keys on thrips inclusions in Baltic amber. During his time as the head of the department Entomology I at the Senckenberg Museum in Frankfurt/Main, Richard zur Strassen established one of the most extensive Thysanoptera collections in the world. Comprising 270.000 specimens, it includes about 2700 different species and 1600 types. Zur Strassen published more 100 papers on Thysanoptera. In 2003, he published an identification guide on the Terebarantia of Europe that appeared also in Dahl’s book series on the fauna of Germany (German original title: Die terebranten Thysanopteren Europas; in Dahl (Ed. ): Die Tierwelt Deutschlands, vol. 74). Today the influence of thrips as crop pests and the related economic importance represents the main incentive for the research on them. Thus, appropriate investigations are mostly restricted to pest species. With this focus, Trevor Lewis published the comprehensive volume »Thrips as crop pests« in 1997. In 2006, »Thripse«, an equivalent in German language was published by Gerald B. Moritz (*1954) in the series of the »Die neue Brehm Bücherei«. Moritz, head of the department for Developmental Biology of the Martin-Luther-University, Halle-Wittenberg created a number of interactive keys to recognize pest species and is working intensively on molecular identification methods for thrips. Faunistic data and results concerning zoogeographic aspects, however, are published less frequently and affect mainly regions close to the locations of the few related entomologists. The most important personalities in this context are: Adriano Cavalleri (Universidade Federal do Rio Grande, Brazil), Masami Masumoto, Yokohama Plant Protection Station, Tokyo, Japan, Kambiz Minaei, Department of Plant Protection, Shiraz University, Shiraz, Iran and Laurence A. Mound (*1934), honorary research fellow of the Australian National Insect Collection, CSIRO, Canberra, Australia. Mound has published about 400 articles and is considered as the absolute expert concerning all fields of research on thrips. Furthermore, Mound runs the websites: OZ Thrips – Thysanoptera in Australia, CSIRO Entomology – Thysanoptera, und ThripsWiki – Information on the World’s thrips. Globally, I am the only thysanopterist without a tenure to an institute. My research is a mixture of freelance expert work and beloved hobby. Parts of the text according to Moritz, G. (2006): Thripse. In: Moritz, G. (Ed. ): Pflanzensaftsaugende Insekten – Band 1.